This edition contains the same features as Windows 7 Enterprise, but the licensing method is different, it was available to home users on an individual license basis. No physical Copy or DVD box included, What you buy is just the Product Key + Download Link because that's all You needs! Retail key means You can transfer this license to another PC when You are buying or building new PC in future. When will I receive the key(s)? : You can get the license key via email within 1-12hrs. If you haven't received the key for hours, please check the spam or junk mail folder. No matter what help you may need with downloading or installing Windows 7, we've got the expertise you need. We'll give you the support you need until your software is up and running. Windows 7 is a part of the Microsoft Windows NT family of operating systems. Windows 7 is praised for its speed, familiar user interface, excellent software compatibility, and ability to run on older hardware. 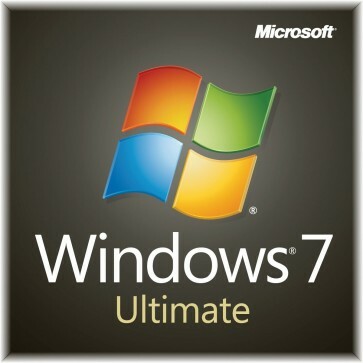 Windows 7 Ultimate contains the same features as Windows 7 Enterprise, but unlike the Enterprise edition, it was available to home users on an individual license basis. BitLocker & BitLocker to Go: As opposed to EFS, which uses file system level encryption, BitLocker uses full disk encryption. AppLocker: Ability to decide which code gets executed and which not. This feature only available for Ultimate PCs. BranchCache: BranchCache stores data from remote file and Web servers on a local Windows 7 PCs. Allows for fast file access across a WAN. Direct boot from VHD: Ability for a computer to boot from a VHD file with or without a host operating system. DirectAccess: Remote users can use DirectAccess to securely connect to their corporate network without establishing a VPN connection manually. Virtual Desktop Infrastructure (VDI) Optimizations: With VDI solutions, build virtual desktop and virtual app deployments effortlessly. Ultimate Search Scopes: Making it easy to discover and search intranet sites can help organizations maximize their return on these investments. Multilingual User Interface: With MUI, each user would be able to select their own preferred display language without changing the core binaries of Windows 7 Ultimate. Required video card: DirectX 9 graphics device with WDDM 1.0 or higher driver. Some games and programs might require a graphics card compatible with DirectX 10 or higher for optimal performance.